Nevertheless, I intend to vote in 2004 to reelect President Bush. I will do so despite the fact that I do not agree with him on any major domestic issue, from tax policy to the recently enacted prescription drug law. These issues, however, pale in importance beside the menace of international terrorism, which threatens our very survival as a nation. President Bush has earned my vote because he has shown the resolve and courage necessary to wage the war against terrorism. The Democratic presidential contenders, unfortunately, inspire no such confidence. With the exception of Senator Joseph Lieberman, who has no chance of winning, the Democrats have decided that in order to get their party's nomination, they must pander to its radical left wing. As a result, the Democratic candidates, even those who voted to authorize the war in Iraq, have attacked the Bush administration for its successful effort to remove a regime that was a sponsor of terrorism and a threat to world peace. The Democrat now leading in the race, former governor Howard Dean, is a disgrace. His willingness to publicly entertain the slander that President Bush had advance warning of the September 11 attacks and his statement that America is no safer as a result of the capture of Saddam Hussein should have been sufficient to end his candidacy. But the radicals who dominate the primaries love the red meat that is thrown to them, even when it comes from a mad cow. Fundamentally, the Dean campaign equates Democratic support for the Iraq war with appeasement of President Bush. But the fight against Saddam Hussein falls within a hawkish liberal tradition that stretches through the Balkan wars, the Gulf war, and, indeed, the cold war itself. Lieberman is not the only candidate who stands in that tradition--Wesley Clark promoted it courageously in Kosovo, as did Richard Gephardt when he defied the polls to vote for $87 billion to rebuild Iraq. But Lieberman is its most steadfast advocate, not only in the current field but in the entire Democratic Party. In 1991, he broke with every other Northern Democrat in the Senate to support the Gulf war, then broke with George H.W. Bush when the former president allowed Saddam to slaughter tens of thousands of Iraqi Shia in the war's aftermath. In 1998, Lieberman joined with McCain to co-sponsor the Iraq Liberation Act, which committed the United States to regime change in Baghdad. And, in the 2000 campaign, when the younger Bush was still peddling neo-isolationism, it was Gore and Lieberman who insisted that the United States be prepared to use force to stop genocide and promote democracy. The Democratic center has collapsed. Centerist Democrats have no candidates and they are repulsed by their choices in the General Election. This is a perscription [sic] for a large number of voters to check out of politics completely for several election cycles. We also have with Dean a recognition that the organizational barrier to entry for creating a national party organization has falled [sic] radically. This is the historical perscription [sic] for collapse of the Democrats and the creation of a new major American political party. Another matter: the defense and support of small businesses, who are the "Yeoman Farmers" of the city. No man is freer than he who employs himself, whether it is the owner of his own land, or the owner of his own shop. If we are going to fiddle with tax policy, let's fiddle with it in a way that encourages and supports small businesses and farmers. There are other matters, but this is enough for now. At the risk of being deleted by AW for being off topic--this isn't really about Bush lying--I'd like to ask you a question about your last post. What about leadership? Consider the point made by your anonymous: "The US cannot go it alone, militarily or economically. The French, Germans, Canadians, et al are not any more greedy than we are." Fair enough. But if America can't go it alone, neither can any of these. We need each other, yes. But that need is at least as strong on their side as ours--stronger, I should think. If, as seems to be the case, the French &c. come around to our way of seeing things, what we have is not a rift but a momentary disagreement. If France and company chooses debt relief for Iraq, aid to NATO/Coalition missions abroad, and a stronger line toward Islamism (as, for example, a ban on the hijab such as France has undertaken); well, then, perhaps they have not been driven away from us, but awoken by us to a duty they have been ignoring. That duty--to preserve the Order of the West, with its unique vision of human liberty--is the real cause. It is the only cause. It has been America's cause from the Founding, even if individual Americans have lost sight of it. Is it possible to fight in that cause without seeking the reform of terror-sponsor states? Was there a means to the real reform of Iraq short of regime change? I am open to evidence, as you know. I haven't seen anything to convince me that we have done wrong here. If it was wrong to dwell on WMD, it was wrong not because it played up an argument that was dubious. It was wrong because the WMD dance at the UN delayed the freedom of Iraqis. It extended the reign of terror by a year. If any innocent Iraqi blood is on our hands, it is that blood. France will come around--indeed, has come around. If we had come around to them, would the world be better, or would tyranny still darken Mesopotamia? Leadership is needed, for these are deadly times. I think I am an honest observer--as honest as any. I have seen nothing to suggest that anything other than the union of the West offers hope. But not just any such union. 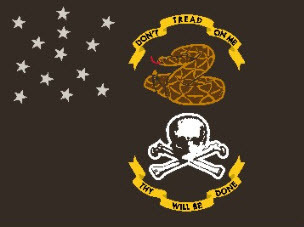 Only this union: a union of the West devoted to fight for the cause of liberty on any front, in any fashion. If that can be inspired through rhetoric, so be it. If it can be inspired through action, as well. If it must be inspired through example, we ought to stand to the labor. There are many Westerners who do not agree. There is no alternative but to convince them, and no means but leadership to do so. That leadership means taking them places they fear to tread, and it will for that reason necessarily cause resentment and wrath. It must be done, nevertheless. They will turn to our side. They do so even now. 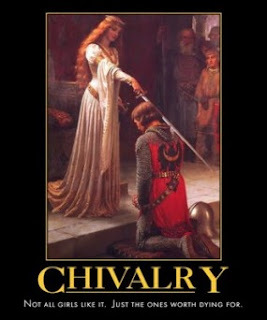 It is what they were born for, though they fear it; it is what their proudest traditions sponsor. Even the French remember the Declaration of the Rights of Man and Citizen. It is the cause, and the duty, of the West. In two decades of service, Dr. Finkel performed some 30,000 abortions. His crimes consisted of kissing and fondling his abortion patients against their will. NARAL-funded studies show that unwanted fetuses, whose mothers fail to choose abortion, are more likely to become involved in sexual crimes as adults. That must be the cruelest thing I have ever read, and perhaps one of the truest. Abortion is one of those things people believe must be morally OK, exactly because the alternative is too horrible to contemplate. It makes one shudder. The Democrats never claimed to be the party of states' rights, so that rules them out. Er, what? That's going to come as a bit of a surprise to every advocate of States' Rights for 140 of the last 160 years. But hey, we don't do history on the left; we're progressives. It's time to move on, isn't it? Isn't it always? We mentioned Samizdata yesterday. 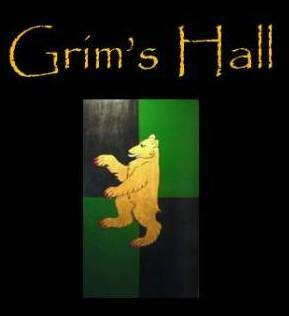 Today, we note with pleasure that they have agreed to exchange link-hospitality with Grim's Hall. You'll find them under "Other Halls," to the right and down.